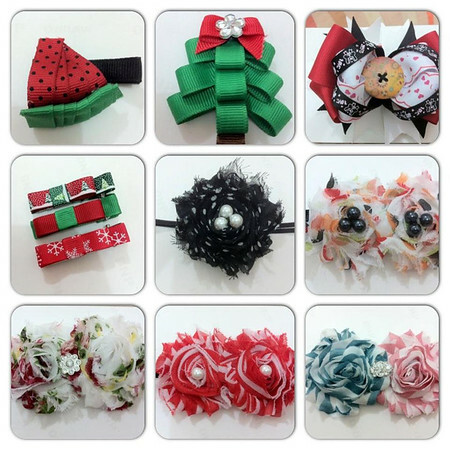 If you're looking for quality hair trinkets for your baby fashionistas, or just really huge flowers on headbands or blooms on bare feet (just some ballet birthday ideas for you), then Dainty Ashley is the shop you are looking for. 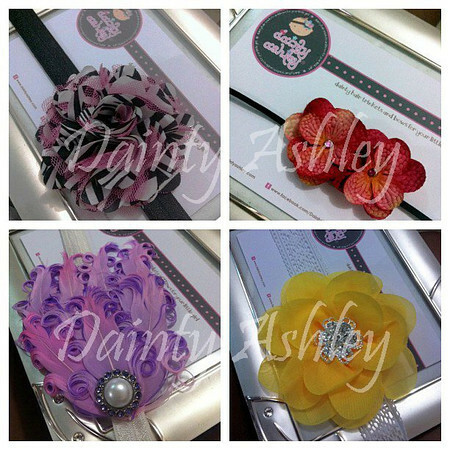 Making hair/head decorations for little girls as a business is the result of blessing a crafty, creative momma with a baby girl. What else is she to do, right? I also love it that Mai, the creative genius behind Dainty Ashley, has named her designs after daughters of friends. I keep kidding her that she's the bane of moms of daughters because they wouldn't be able to resist her wares. Check out her upcoming collections!